If you’ve stepped into a salon or researched how to better your hair at all in the last few years you’ve probably heard about a product called Brazilian Blowout at least once. The haircare movement is has become very popular in the last few years as a way to tame frizz, hydrate and even repair damaged strands on just about any hair color, texture or thickness. How a traveling pants-style solution is possible in the world of haircare seems surprising, since the industry usually boasts very specific haircare products for each individual need, but stylists and their clients around the world are swearing by the treatment as it shows immediate, positive results every time. There’s a bunch of products on the market that boast to have the same outcome as the original Brazilian Blowout product, but we suggest making sure you’re using the original for best results. Those looking to see the best results will find that the product works wonders on their hair in the summer months, when humidity and heat can cause unwanted frizz and dryness. The treatment will add a protective layer to prevent damage, all while hydrating and repairing existing issues. The results? Bouncier, healthier, hydrated hair that looks fresh from the salon. While there are other liquid Keratin formulas on the market that intend to result in similar benefits, Brazilian Blowout has perfected its formula in a way that works for anyone. Unlike other Keratin treatments, Brazilian Blowout contains a much milder formula that will allow clients to style their hair themselves in the days following their treatment. 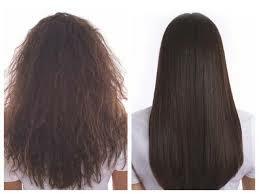 No more having to leave your hair alone for three days after a treatment in order to reap the benefits. Unlike regular salon blowouts, the product isn’t something you need to get done each time you wash your hair. 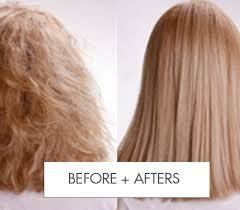 Brazilian Blowout is a hair treatment, not a salon add-on. A regular blowout can make the hair look fresh, well-styled and healthy, but a Brazilian Blowout is a treatment that experts recommend getting done once every three to four months. The results are long-lasting, leaving your hair looking healthier for longer. Brazilian Blowout is also a completely customizable treatment, allowing clients to specify exactly what they want to get out of it. While the product is meant to leave hair healthier, sleeker and less-frizzy, it can also be used to relax and straighten or even add extra bounce to natural curls. The product, and its benefits, are virtually limitless. It’s even safe to use on color-treated hair! 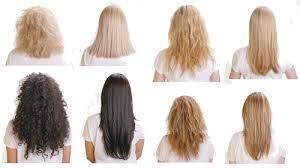 Aaron Emanuel offers Brazilian Blowout services at its locations in New York City. Contact us today to book your appointment for healthier, sleeker locks!